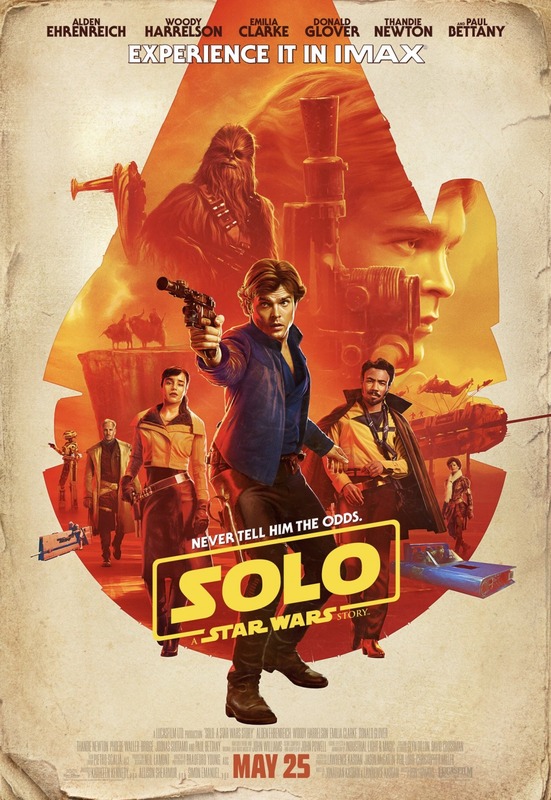 Tomorrow night The Blot will be seeing Solo: A Star Wars Story in IMAX and I can’t freaking wait. Now if only I could find a sweet Lando inspired cape to wear to the screening. Do you have your tickets yet? To kill some time before the film’s release, check out this awesome Solo: A Star Wars Story IMAX One Sheet Movie Poster. I love the way it uses the Millennium Falcon to frame the image. Solo: A Star Wars Story opens in theaters everywhere on Friday, May 25, 2018.